It's that time of year where you need a coat if you're going to go outside. Some families can't afford to keep up with all of the sizes their growing children need. That's what Coats 4 Kids is for. It's about keeping area kids warm. 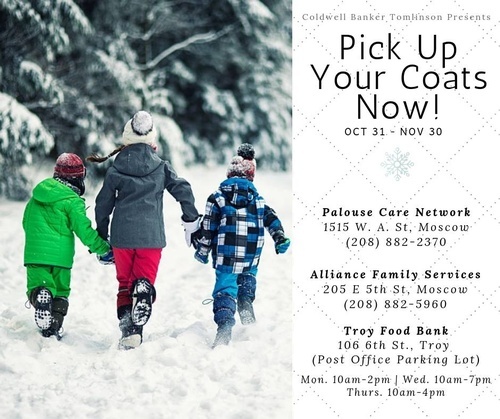 So, if you or someone you know is in need of a winter coat, stop by one of our pick up locations and grab a coat. The sizes and quantity vary so, it wouldn't hurt to call ahead and see if they have the size you need. Palouse Care Network has two boxes located by their door; one for childrens' sizes and one for adults. Their number is: 208-882-2370. 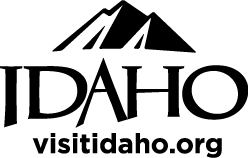 They are located at 1515 W. A St., Moscow. Sequal Alliance Family Services will have a variety of sizes and their contact number is: 208-882-5960. They are located at 205 E. Fifth St., Moscow. Troy Food Bank will also have a large variety of sizes. They are located at 106 Sixth St., Troy which is in the parking lot of the Troy Post Office. Their hours are Monday 10:00am - 4:00pm, Wednesday 10:00am - 7:00pm, Thursday 10:00am - 4:00pm. Opening of businesses through closing times.